A good backpack is an essential piece of gear for any traveler, whether they're heading out on a trail or just hiking around town. But finding one that meets all of your needs, and is versatile enough to take with you just about anywhere, can be somewhat akin to locating the Holy Grail. 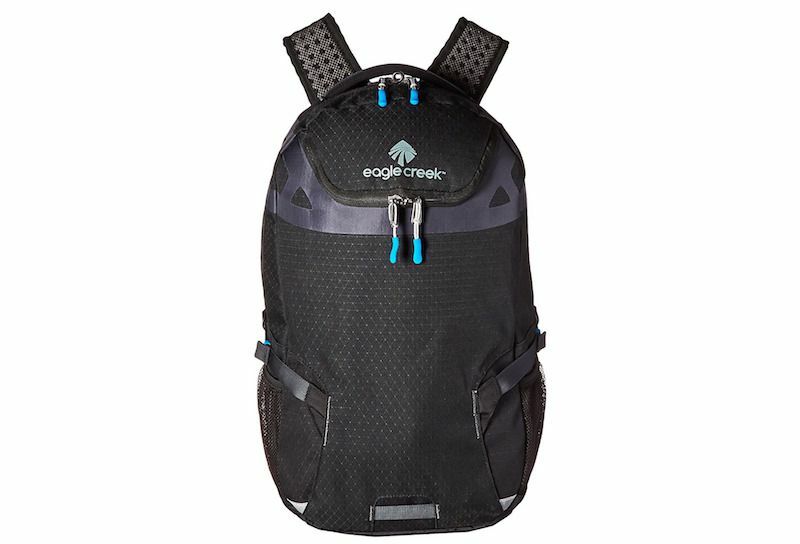 The XTA pack from Eagle Creek not only meets all of those requirements, but it also happens to be very affordable too. Tipping the scales at just 1.4 pounds, the XTA is extremely lightweight, yet remains very durable. The backpack was built from the ground up with travelers in mind, with the features and options you would expect. With its two-way lockable zippers, surprisingly tough fabrics, and ample carrying capacity, it is clear that a lot of thought went into the XTA's design. The result is a travel pack that delivers everything you need, without a lot of superfluous extras that only add bulk. One of the things we like most about this pack is that it has been designed with a low profile that allows it to fit comfortably and snugly against your back. This is something we appreciate when hurrying through the airport, just as much as we do when we're strolling down an avenue or hiking a trail. The fact that this bag performs well in each of those environments says a lot about its versatility and functionality as well, making it the only option that most travelers will need for most trips. Upon first glance, it is easy to dismiss the XTA as being a no-frills backpack that is mainly appealing because of its lightweight design. That would be selling this pack far too short, however, as it has plenty of nice features that travelers will definitely appreciate. For instance, the bag comes not only with a dedicated laptop sleeve, but also a secondary sleeve that is perfect for a tablet or book. Its main storage compartment is also big enough to hold a jacket, camera, headphones, or just about anything else you'll need with you for a long flight or a day out on the town. As if that wasn't enough, the bag is equipped with two water bottle holders located on either side and a zippered top pocket that includes designated pen slots and a key fob. Another large pocket located on the front also includes secure, lockable zippers, and features an internal mesh pocket that is perfect for holding chargers and cables for your smartphone or other electronics, along with other small items you want to keep close at hand. Despite its relatively diminutive size, the XTA is quite capable of carrying a heavy load. We've used it on multiple trips, with a laptop, iPad, DSLR camera, and a variety of other equipment in two, and it performed admirably each time. Better yet, it managed to haul all of our gear around while remaining comfortable to wear, which isn't something we can say about some of the larger, more expensive packs we've tested over the years. As with any travel bag, durability is always a major concern, especially if the pack has been built with a minimalist approach. But Eagle Creek has used materials that are both water and abrasion resistant to help keep the XTA from showing much in the way of wear and tear. At this point, it is difficult to say how the pack will perform over the long haul, but having traveled with it several times already, we can tell you that it has shown absolutely no signs of fraying or tearing, and other than a bit of dirt here and there, it looks practically brand new. During our travels with the XTA pack, we've definitely put it through the ringer. We've taken it with us on short hikes and long mountain bike rides. It has been our companion through more airports than we can count, it has gone to lunch and dinner with us, and even spent some time at the beach. Along the way, it also became one of our all-time favorite travel packs, and we've found ourselves reaching for it on more occasions than we ever thought we would. As someone who always values versatility in our travel gear, that says a lot about how much we like this bag, and how much we think you will too. Here's the best part. The XTA is also very easy on your pocketbook. Eagle Creek sells it for just $99, which is a real bargain for a backpack that performs this well and offers so much. Available in several colors, the pack is also covered by the company's famous No Matter What warranty, which covers the bag for a lifetime, and promises to repair or replace it should it become damaged. For demanding travelers who are hard on their gear, you simply can't ask for anything more than that. You can also learn more from this YouTube video. Does the Victorinox Explorer Wheeled Duffel stack up for adventure travel? Can the Vasque Grand Traverse Shoes Keep Up?